Being able to read and comprehend the information printed on a tire’s sidewall will make it easier for you to understand your tires and help you choose the right replacement set when it is time to replace the tire. 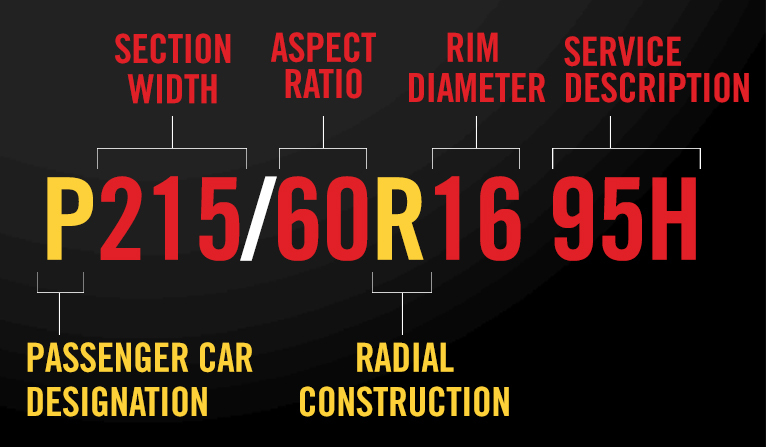 P-metric sized tires have a "P" at the beginning of the tire size, such as P215/60R16 95H in the graphic above. They were introduced in the United States in the late 70s and are installed on vehicles primarily used to carry passengers including cars, station wagons, sport utility vehicles and even light duty pickup trucks. Their load capacity is based on an engineering formula which takes into account their physical size and inflation pressure. A Service Description, comprised of Load Index and Speed Rating is usually found at the end of a P-Metric size. The European counterpart to P-Metic sizing is called Euro-Metric (sometimes “Hard Metric”) sizing. The structure of the size is similar to P-Metric tires, but the load formula can be different so switching between P-Metric and Euro-Metric sizes may require a small adjustment to inflation pressure, and in rare cases isn’t recommended at all. 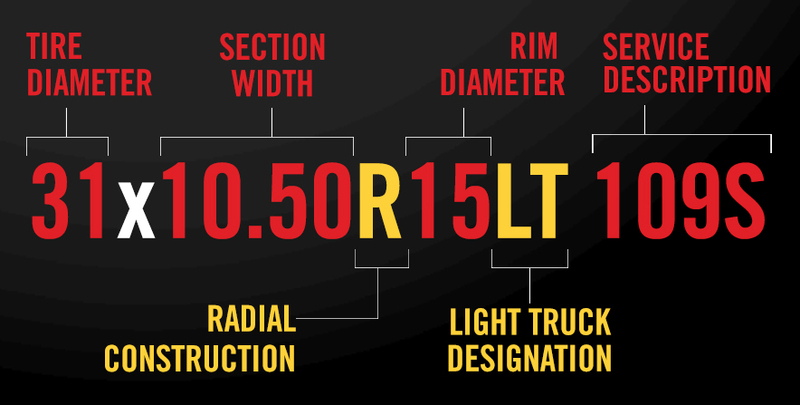 Similar to the P-Metric system, except the P is replaced with the LT light truck designation. Also, LT-Metric and P-Metric tires differ in construction and load carrying capacity and possibly vehicle handling dynamics. 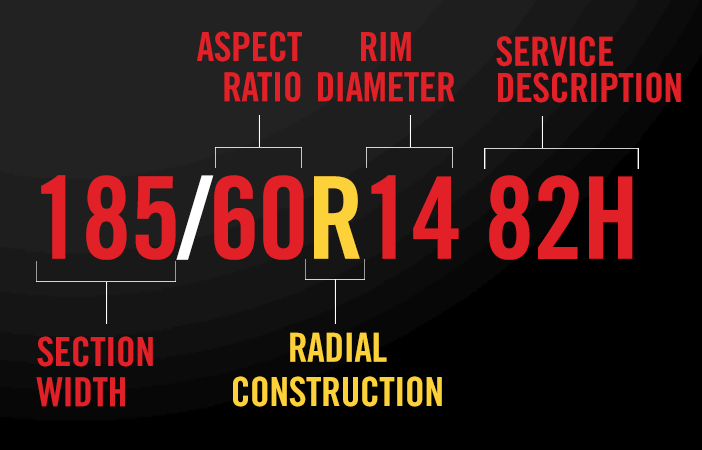 This system begins with the tires outside diameter and section width in inches, construction type, rim diameter in inches, plus the light truck designation. 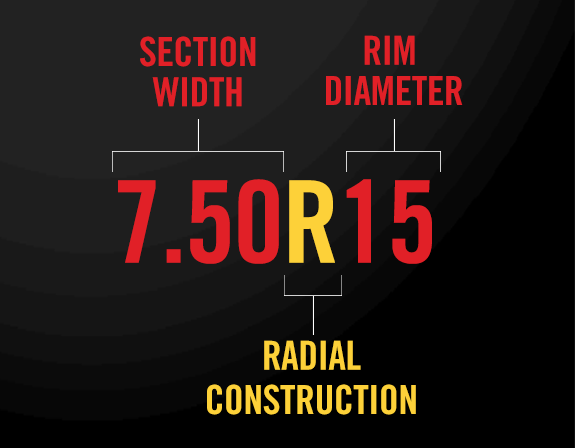 This system lists the section width in inches, construction type, rim diameter in inches, plus the light truck designation.